Time management is a skill you can learn. If only you had the time. To be fair, it might seem a lot less crucial than it is. Yet, today’s world is full of time challenges. There never seems to be enough time for anything. People are always in a hurry, everybody is always busy. Some would love to have more time to spend with family and friends. Others would really enjoy spending that extra time in the gym. Or doing yoga, meditating, learning an instrument. There are some for whom there is never enough time. In fact, the common denominator for all entrepreneurs is that they never have the time. And, with startups as well as with anything else in life, being on time is crucial. Luckily, this very busy modern world offers an increasing number of technologies to help us improve on time management. Here’s how you can use them to your advantage. Use coding to automate boring tasks. And if you can’t afford investing time in learning a programming language, just look for software solutions that will help you automate monotonous, redundant tasks. Anything mindlessly repetitive that you have to do, a piece of software can do. Imagine compiling and formatting end of the year reports. They will end up being polished into an annual report. Meanwhile, it’s all about ensuring everything is consistent. Hours upon hours to make sure everything is neat. Or perhaps it’s Excel sheets that you have to update and format to a specific end-result. To be sure, you can add several items on this list. But best of all, take some time to ponder on this. You can learn to code in Python. It’s roughly 30 hours of work before you gain a working ability. Besides, it’s a very friendly language, and it’s easy to learn. You can invest some time in that and later save thousands of hours of productivity by scripting away repetitive tasks. In fact, try and see if you can come up with more ideas. The world is changing. AI will be an integral part of the work force in the future. And if you’re a knowledge worker, perhaps it’s time to up your game. After all, automation may well be part of your work in the years ahead. Time management has quite a bit to do with the perception of time. Fun tasks take less, boring tasks feel like ages. But the common denominator in time perception is sleep. Being tired makes work harder, slower, unpleasant. And that’s how sleep management becomes a method for time management. We spend nearly a third of our lives sleeping. Yet, this is one of the most neglected activities. In fact, one in three adults don’t get enough sleep. To make matters worse, not sleeping enough is detrimental to how well we perform. The cognitive effects of sleeping too little make quite a list. Furthermore, there’s sleep debt to consider. A cumulative lack of sleep that ends up affecting our mind and body. The solution is simple. Sleep management for well-being improvement. And work-life balance improvement with better sleep. We covered sleep here and work-life balance here. You can get any number of apps that allow you to keep track of your sleep. And you can use them to make sure you’re doing it right. From calculating sleep cycles to setting up sleep times and managing sleep debt. Besides, it helps with managing work pressure. Deadlines are horrible, it’s true. Yet, they are also necessary. And valuable to any sort of collaborative work. They allow organizations to synchronize and keep up the pace. Your work, completed at the right time, helps the team move forward. However, deadlines are also huge stressors. They stifle productivity and creativity. And can become a milestone around which procrastination happens. Meeting deadlines and beating deadlines is a challenge. One that fills you with anxiety and relief. We covered how to meet and beat deadlines before, and it’s worth a read. Self-imposed deadlines, however, are a marvel. They’re one of the best self-management trick ever. And they enhance your time management skills. Simply put, schedule your tasks around self-imposed deadlines. Set all of them earlier than the team deadlines. And organize your work so that it suits your day. You can work on anything, anytime, anywhere, as long as you meet your own deadlines. To be sure, you might experience some anxiety. However, self-imposed deadlines are a great buffer. Much like setting your alarm clock 5 minutes ahead. 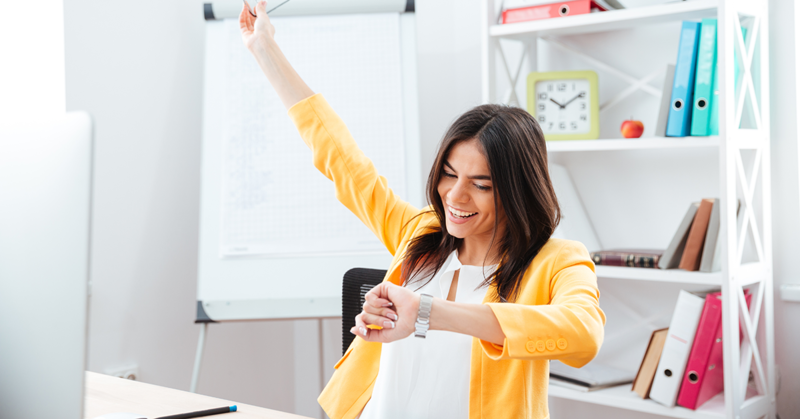 Simply use any schedule planner or time management software to organize your self-imposed deadlines. It’s a clever way to be more productive while you avoid burnout. What do time management and team communication have in common? Any type of work you do, there’s a high chance it’s team-related. Even freelancers and remote workers need to be on the same page with their teams. Or integrate their work with them. Ultimately, your interest in time management boils down to more than personal productivity. In fact, the most compelling reason to improve your time management is bettering your teamwork. Every time teams rely on you for something, you need to be there. Capable and ready to offer your best. To manage your time as well as possible, you need to be plugged into the team stream. An instant team communication platform like Hubgets helps you be there. Every step of the way, you will know exactly what your team is up to. Moreover, you will be able to instantly contribute to topics around which team communications happen. Furthermore, you will find work information quickly and promptly. And make yourself readily available for input and feedback. Time management and team communications help you stay productive and make yourself useful. They allow you to be prompt, yet maintain a positive work-life balance and beat work pressure. Eventually, time management will improve your happiness at work. Thanks for the article! A very efficient way to boost your productivity and time management is implementing Kanban Board into your professional and personal life. Here’s some more details on how it can help you manage your tasks and get stuff done https://kanbantool.com/kanban-library/why-kanban/how-kanban-can-change-your-life . Enjoy! Very interesting article. I read the comments and I saw that Jason mentioned that implementing https://kanbantool.com/ can have a positive impact on your team’s productivity and time management. I agree with that, I use Kanban Tool myself and my performance definitely improved.